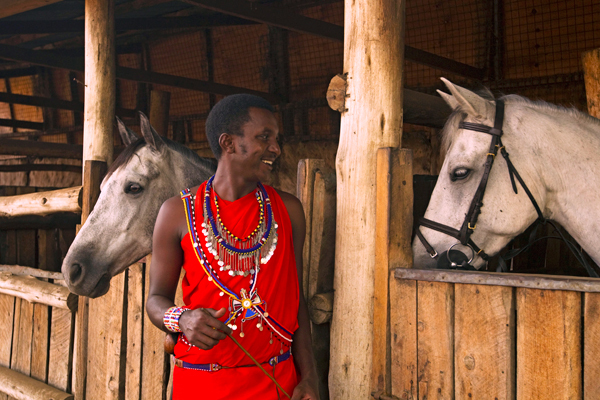 Exploring the African wilderness on horseback is a magical experience. No vehicle, no noise – just you and your horse crossing the landscape. If you are an accomplished rider, you may already have done a multi-day riding safari, covering many miles while following the wildlife. 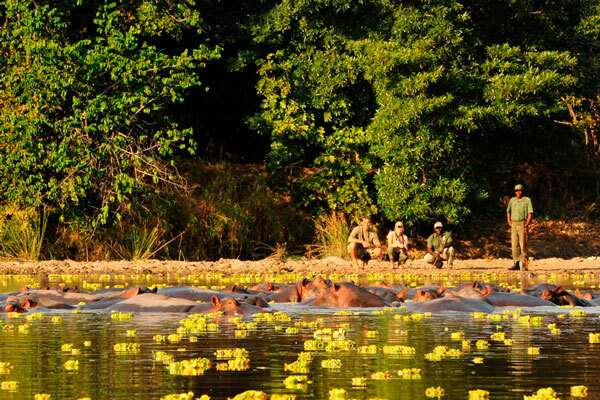 It’s an exhilarating option and deservedly at the top of many safari wish lists. Don’t discount, though, the pleasure of riding for just a few hours while on safari. It’s perfect if you are travelling with riders of mixed abilities or if you want a taste of riding before committing to a longer riding safari. 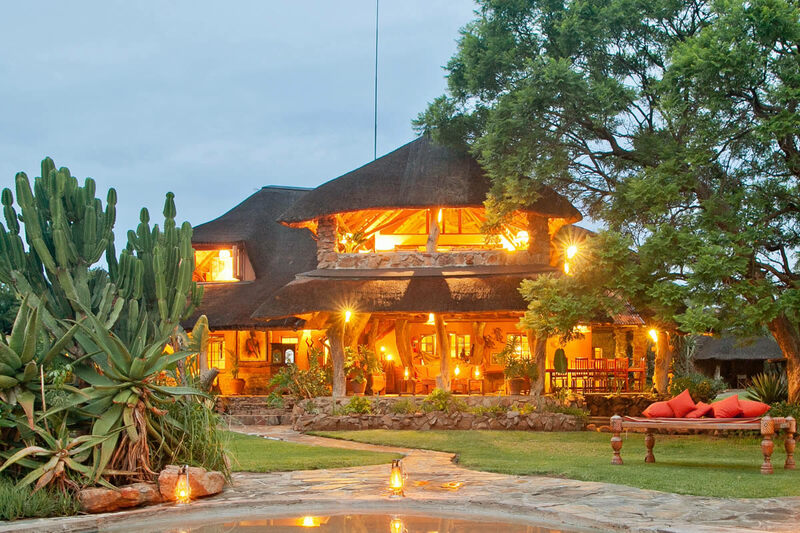 – Old favourites and among the best, these two lodges based in South Africa’s Malaria-free Waterberg will accommodate riders of all abilities. Whether you want to potter round the lodge or go for a speedy two hour ride, there’s a horse here for you. – Wedged between Tsavo East and Amboseli National Parks in the heart of the Chyulu Hills this is a place of timeless wild beauty. Rich in wildlife as well as culture and scenery it’s fabulous riding country. 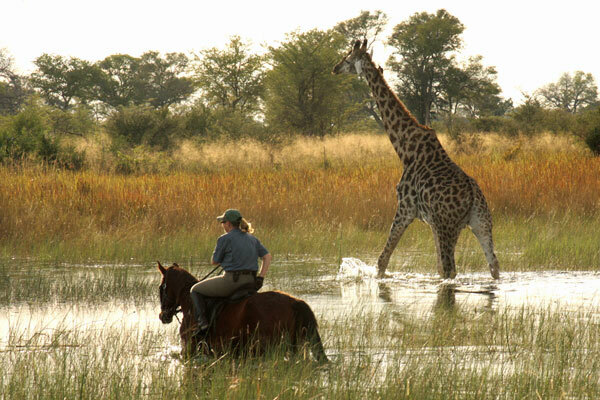 Intermediates and above can ride for two to four hours seeking out giraffe and elephant, while novices can enjoy a gentle ride to explore the open plains. 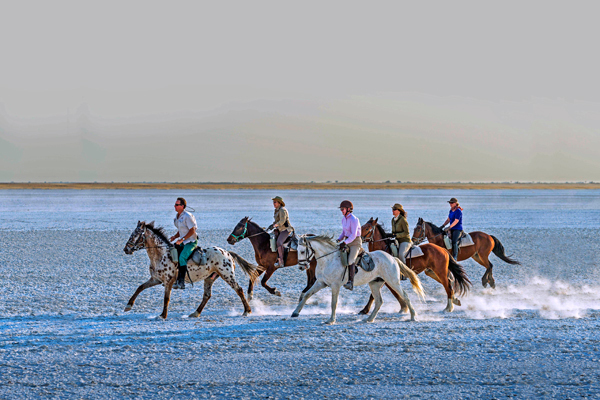 – Botswana is traditionally the preserve of the full-on riding safari but these two legendary camps in the Makgadikgadi Pans provide the setting for glorious riding. 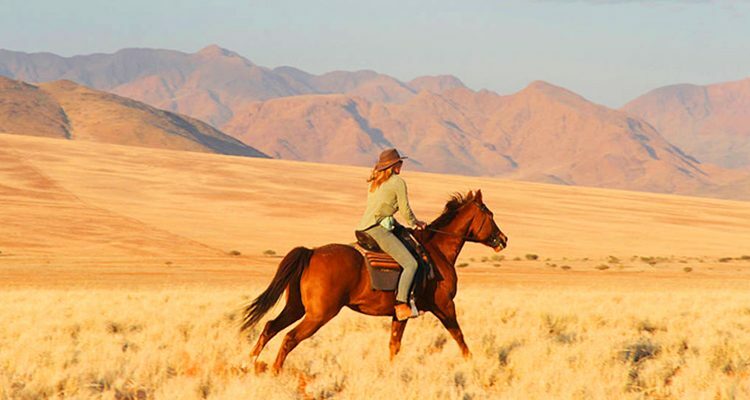 All levels of rider can take to horseback to roam this extraordinary landscape looking for zebra, wildebeest, springbok and a variety of desert adapted species. 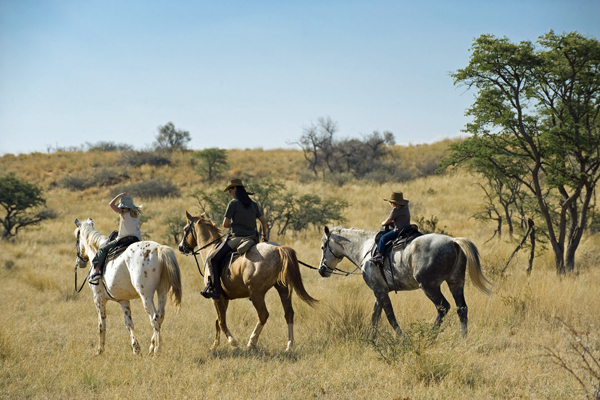 – The spectacular Kalahari setting and experienced staff combine to create some wonderful riding. There are horses to accommodate riders of all levels of experience, and youngsters are particularly welcome; pony-mad children can spend a whole day at the stables if they wish. 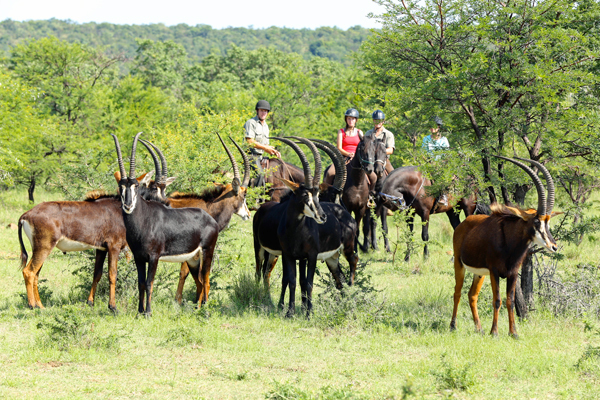 The scenery is breath-taking and likely animal encounters include mountain zebra, kudu, hartebeest and buffalo. 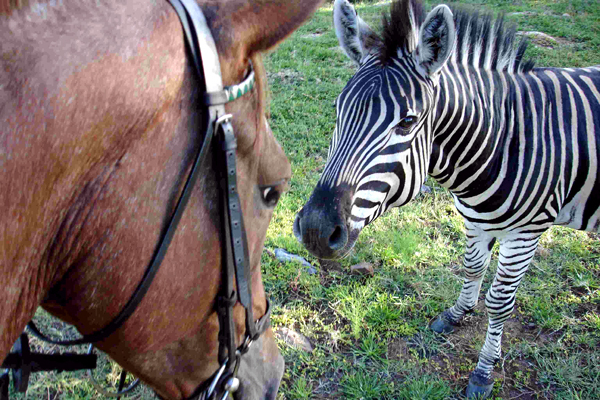 – If your safari includes northern Mozambique and you fancy an equestrian outing then a horseback swim with Mozambique Horse Safaris would be one for the list. 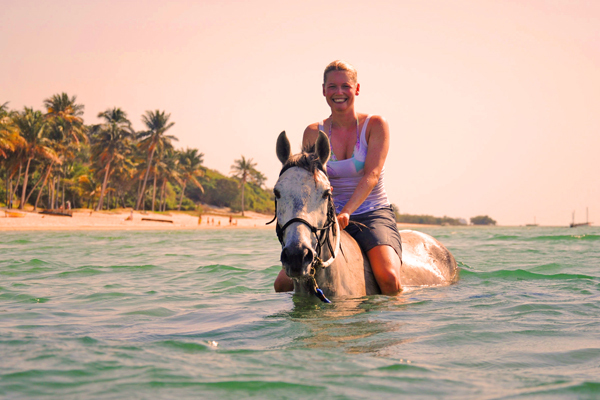 After a ride along the beach both horse and rider can enjoy a wallow in the warm waters of the Indian Ocean. 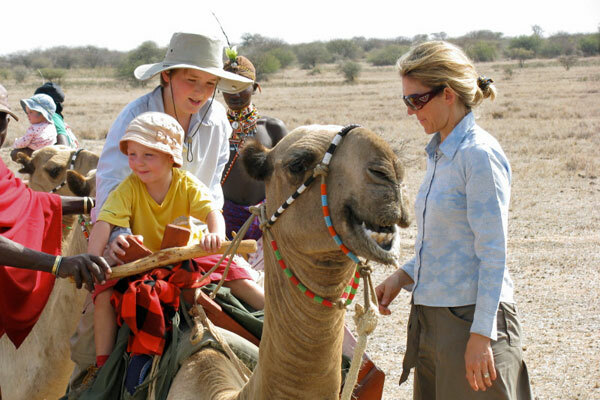 – If you want a variety of four legged conveyances then this super family run lodge in northern Kenya fits the bill. 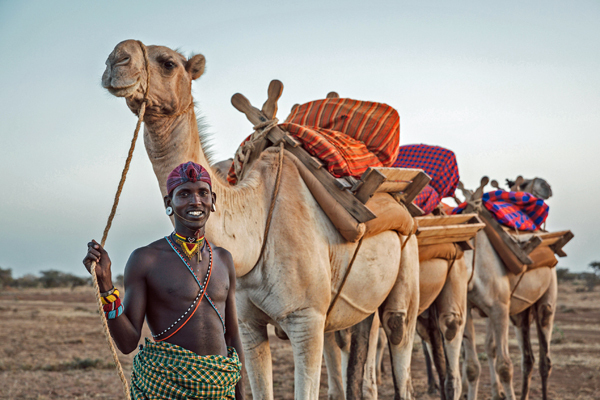 Guided rides on sure-footed bush ponies will satisfy horse riders of all levels and once you’ve ticked that box how about exploring on a camel? Full of character these ‘ships of the desert’ offer a totally different perspective as you ‘rock’ gently through the bush. Any questions on riding in Africa?